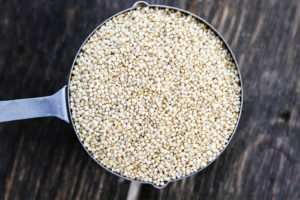 Hemp seeds are a powerhouse when it comes to working out with a vegan muscle building diet plan. They contain 10 grams of protein per three tablespoons and a host of other amino acids. Sacha Inchi seeds are another powerhouse protein seed, they’re a complete protein and contain 9 grams per ounce. Pumpkin seeds are also excellent in the protein category. They’re delicious raw, or toasted, and are a great addition to a variety of baked goods. Flax seeds are an extremely efficient vegan muscle builder as well. They have a mesmerizing 4 grams of protein per 1 tablespoon. 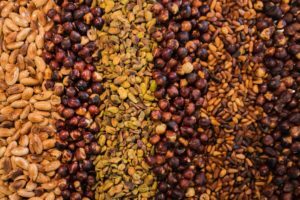 Seeds are available in a variety of formats, and can be easily added to just about any meal. Try tossing them into your morning vegan muscle building smoothie, add them to just about any dish, or simply eat them raw! Legumes in general are excellent sources of protein, especially peas, which have 5 grams per ounce of the muscle building nutrient. Peas are a very common base in vegan protein powder. 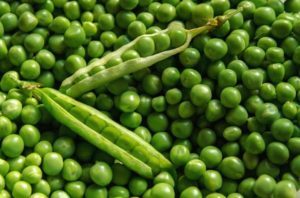 Fresh and frozen peas are good steamed, or added to dishes such as soups, salads, and even hummus! Nut butters in general are a hefty source of protein with roughly five grams per ounce. However, don’t use nut butters as your primary source because they contain a lot of calories! 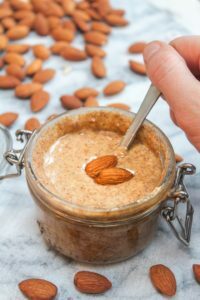 Additionally, nut butters contain loads of other good stuff, like fatty amino acids, which help manage inflammation in the body. Look for nut butters that contain the least amount of ingredients when shopping, the more raw, the better! Much like seeds, nut butters go great in any vegan muscle building smoothie before or after a workout! 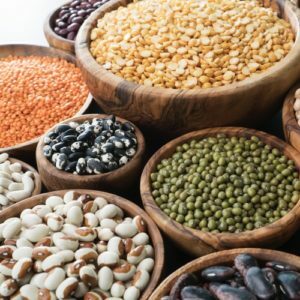 Beans are indeed the magical fruit when it comes to maintaining a vegan muscle building diet plan. Each cup contains up to 26 grams of protein per cup! Use them in soups, salads, sauces, veggie burgers, hummus, or just by themselves! Quinoa is the bee’s knees when it comes to muscle building foods. Quinoa contains all the essential amino acids your body needs to survive, alongside 8 grams of protein per cup. The super food to end all super foods. Substitute any rice based dish with quinoa and watch those muscles grow! Additionally, you can use quinoa flour for baking, and quinoa flakes to add to your NKG Granola. Greens, however good for you, are sadly less packed with protein as we’d like but they do contain all the vitamins and minerals your body needs to function well, so eat up! However, there is a diamond in the rough, spinach! 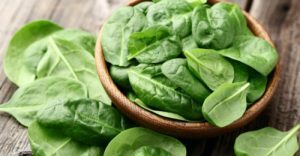 Two cups of spinach contains over 2 grams of vegan muscle building protein-y goodness. Eat like Popeye, your body will thank you. The runner up in the green protein race is broccoli. Everyone’s favorite vegetable contains 4 grams of protein per cup, is rich in fiber, and oh so tasty. The food that’s sweeping the nation, and millennial’s, contains 2 grams of protein per 100 grams. Avocados are high in fat, but there’s good news. 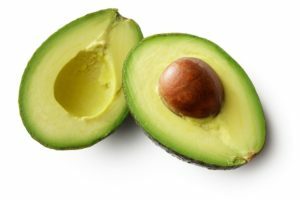 The fat in avocados is monounsaturated, meaning its fat that your body uses up quickly, and doesn’t stick around. You know how to eat them, salads, wraps, raw, with breakfast, in sandwiches, the list goes on. Who knew that a vegetarian and vegan muscle building diet could be so easy, and tasty to boot! We did, now you do too!